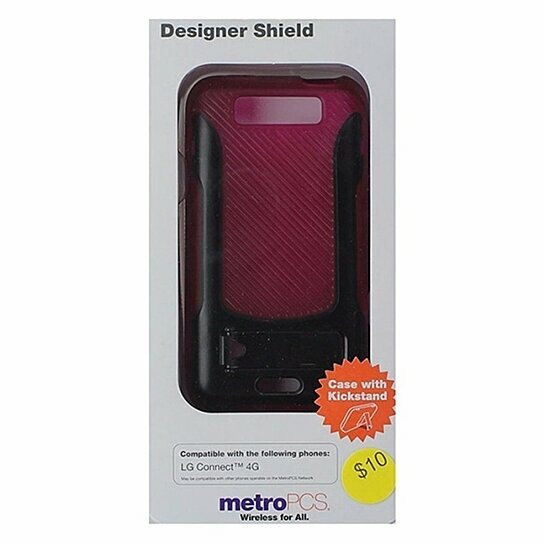 MetroPCS Hybrid Gel Case for LG Connect 4G. Dark Pink Gel frame with a black hardshell backing trim. Built-in kickstand.